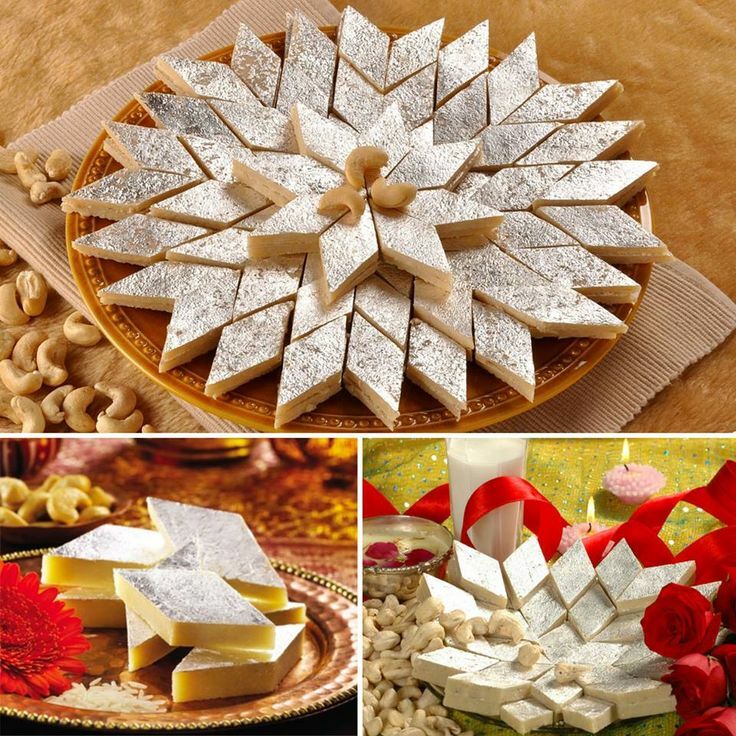 Mouth-Watering Kajukatli Dessert to Please Lord Kuber and Goddess Laxmi This Festival..!! To please Lord Kuber and Goddess Laxmi, this Dhanteras festival, kajukatli can be a perfect treat of desserts to serve them. Both, Lord Kuber and Goddess Laxmi are known to shower wealth, success and blessings on their followers. So, prepare something special for them. Grind the cashews in a powdery form. In a pan, heat sugar and water on low flame. Use butter paper or grease a tray. After the sugar gets dissolved in water, add cashew (kaju) powder. Let the cashew mixture to cook for nearly 7-9 minutes. Now, put the mixture in a plate or bowl. Add ghee and rose petals in the mixture. Let it come to room temperature for kneading the mixture. After kneading, just flatten the dough over a butter paper or the greased plate. Place one more butter paper at the top of the dough and start rolling it. Let it cool and cut into diamond shape. Use a butter knife to remove the dessert. Your Kajukatli is ready to serve.. Previous Previous post: A Very Prosperous and Joyous Happy Dhanteras to All..!! Next Next post: A Very Happy Chhoti Diwali (Narak Chaturdasi) To All..! !